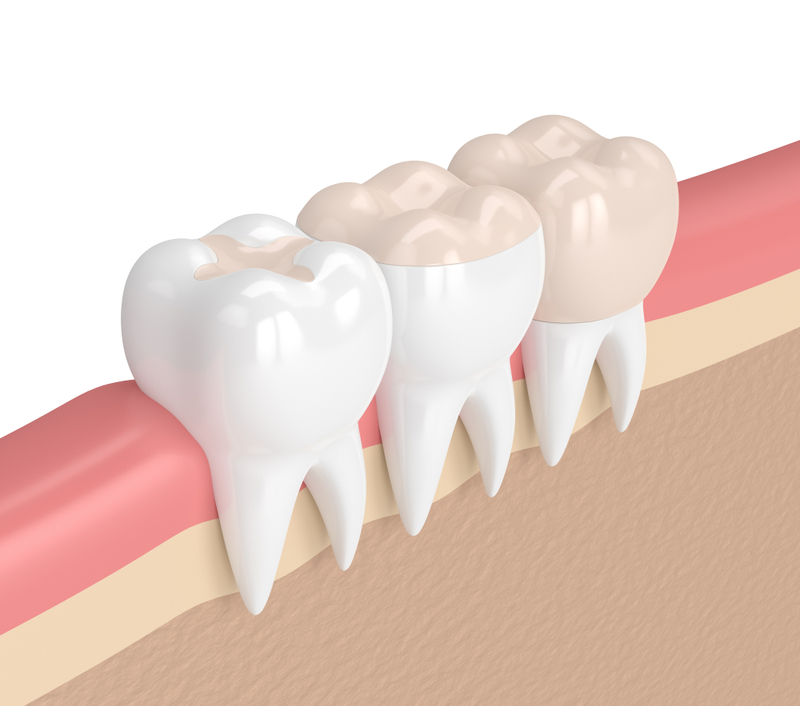 Inlays and outlays are restorative solutions to increase the life of a previously filled tooth. Dental fillings can crumble and disintegrate with age so, rather than destroy the tooth, we can support the restoration with inlays and onlays. A dental inlay is similar to a filling as it fits inside the cusp tips of a tooth to offer additional protection, whilst a dental onlay is a little more comprehensive and completely covers the cusps of the treated tooth. We may, on occasion, recommend a crown rather than an inlay or onlay, and you will have the opportunity to discuss the best treatment for your teeth. If you have concerns about the condition of your current fillings or fear you have a cavity, book an appointment with us at your earliest convenience.